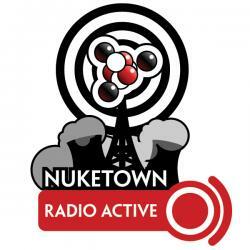 On this edition of Radio Active, Nuketown ventures into Facebook, the epic MacQuest gets an update (and the nifty new/old iPod nano arrives) and Halo 3 looms like a shadow over all that we do. We’ve got Mighty Morphing Toddlers as NeutronLad walks and talks like never before, and StarGirls delves deep into Princess Star Wars. Netheads round out the podcast with Heroic Cthulhu, a podcast/alternative ruleset that lets characters live more than one session and Starship Dimensions, a web site for sizing up ships from myriad TV shows and movies.. It had to happened eventually. Look for me at my nuketown@gmail.com address. The Mac has been ordered; still waiting for it to ship in 2d4+3 days. It’s companion iPod — a 4 GB nano — arrived today. Turns out that the nano is great for the gym; barely even notice it while working out. Trying to finish up loose ends and achievements in BioShock so I can trade it in for Halo 3, which looms large on the geek horizon. Simply can not wait for the game arrive. NeutronLad is swiftly moving from baby to toddler. Ever since starting to walk in July, he’s been growing rapidly — he walks everywhere now and has started to expand his vocabulary, including “momma”, “down”, “no”, something like “dado” which alternatively means “Daddy” and “dog”. Also becoming more opinionated; lets you know what he likes and doesn’t like (sometimes by pushing it away, maybe saying “no”). Fascinating to watch him go from grunting and screaming as his primary means of communication to actually talking. StarGirl has become obsessed with Star Wars since our return from Indiana; we listened to the soundtracks to the Original Trilogy on the way out and back. Naturally I had to narrate. However, since she’s never actually seen Star Wars, what she knows of it is based on what I’ve told her and what she’s seen in Star Wars LEGOS. This has given rise to her playing “Star Wars” a lot, which seems to be the same as her normal princess games, but with star wars names substituted (she’s Princess Leia; her “husband” is a large rabbit named “Han Solo”). What happens when she actually sees Star Wars and has to reconcile these two visions … I have no idea. When should kids see Star Wars? In StarGirl case, it may be when she’s 4.5 or 5; she gets scared pretty easily (still has a hard time with robots in the Incredibles). Recorded sessions of a heroic Cthulhu campaign using a heavily modified version of the BRP rules. Features characters less likely to die than in the regular game thanks to hacks like karma points and special hero cards that help keep them alive. Details of the rules changes can be found online: http://profile.filefront.com/logan9a/. Cool idea; I’d love to see all of their rules compiled into one easily referenced PDF. I’m also curious about their “Card” mechanic; haven’t seen that one before in Cthulhu. Could use introductions setting up the sessions, a la Dice Make Bonk. Strange “dr. who like” audio distortions in most of the backgrounds; pretty sure it’s not intentional. A fun site that allows you to do side-by-side comparisons of starships from a half-dozen shows and movies, from Star Destroyers to the Enterprise to Babylon 5. Also a good reference for any games played in those genres.